This past Sunday, four of the East Coast’s finest met in Towson to square off against each other. The result? An exciting start to the 2018-2019 season. So without further introduction, here’s a recap of how each team fared over the opening weekend. If you asked anybody at the tournament, Towson was the most impressive team there. They came in prepared, organized, and confident, which showed over the course of their three games. They started the day out with a 6-0 victory over UVA, which would essentially serve as a warm-up game for both teams. The Towson squad over-matched UVA from the first point on while overpowering and out-witting their opponent. Their next game was against JMU, which looked to be the matchup of the day. It was a back and forth affair to start where each team scored a point and it remained that way until halftime. After that, the Tigers took off and ended with a 6-1 victory over the Dukes. David Guare and Jordan Watt looked the part of First-Team All-Americans and absolutely dominated this game. Towson ended their day with a decisive 2-1 victory over Maryland to finish the day unbeaten. Towson looked like the best team at this tournament, played like the best team at this tournament, and will look to carry that momentum into next weekend’s tournament at Penn State. While I’m not here to make excuses for JMU, I am here to provide some context to their weekend. 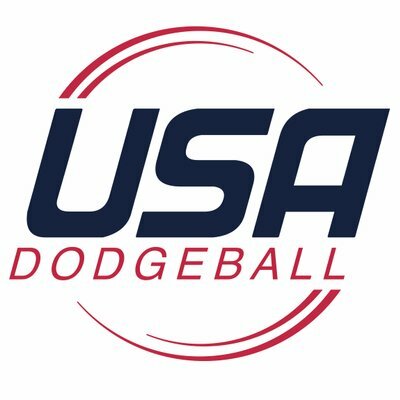 From what I was told, they were only able to practice twice before this tournament, so they may not have been as prepared as the other teams this weekend. Expect this team to regroup, recover, and reload for their next tournament, whether that be at Maryland in a couple of weeks or at their home tournament in late October. With that being said, the Dukes probably didn’t have the tournament that they expected. They started out the morning with a convincing win over UMD, with a final score of 5-1. They then went on to play Towson, which was close in the first half, but then turned into a one-sided affair in the second. They finished their day with a 6-2 win over UVA, which provided good experience for JMU’s rookies and some extra playing time for all of their returners. I wouldn’t let this showing influence your outlook of the Dukes’ season just yet. The usual suspects are still there, they’re still athletic, deep, and talented, and with a little extra time to practice, they should be a more well-prepared and organized form of themselves. UVA came out and was exactly the team that everybody expected them to be. Although they were missing some key players due to injury and personal conflicts, they still made the trip and made the most out of it. As stated before, they opened with Towson, and it was apparent that they weren’t up for the task. A few of the points were held close, but as evidenced by the final score, it ended up being a blowout. However, this provided valuable experience for each of UVA’s four rookies at the tournament, as they got to see their first action against one of the better teams in the league. They then turned around and played what should probably be considered the game of the day against Maryland. This game played out exactly how most games between UVA and UMD do: a back and forth battle. UVA took the first point, UMD the second, and each team exchanged points until UVA held out at the end of the match and finally claimed the 3-2 victory. The game went down to the wire and you can catch the back end of it here. The ‘Hoos then went on to play JMU, which was closer in the first half than the final score indicated. JMU dominated the first point, UVA tied it at 1-1, JMU took the next two, and UVA brought it back to 3-2. After that, it wasn’t even close, as JMU took off and it ended with a score of 6-2. Overall, the tournament was a great experience for the entire UVA roster, from top to bottom. UMD’s record this weekend truly doesn’t reflect how well they played. Every single point of the day was a battle, which is evidenced by very close games against UVA and Towson. I’ll try to avoid repeating all the same scores and such, since y’all got those in the previous three sections. Instead, I’ll talk about the way UMD played. This team wasn’t far behind Towson in terms of organization. They played well as a team and had a plan going into each and every point. They definitely benefited from returning their entire roster. You could tell that they always knew where to be, when to be there, who was throwing, and when to throw. Another thing that impressed me about the Terps is how well they caught. In the limited time I saw between JMU and Maryland, I saw quite a few impressive catches from UMD, which always seems to result in a momentum swing for them. Against UVA, they again caught well and that seemed to be the difference maker in the points they won and lost. To top it all off, they played a ridiculously close game with Towson, which I wasn’t able to watch, but the final score reinforced what I already knew: these guys can play. Although they didn’t come out of the weekend with a victory, this isn’t a team that anybody should sleep on and they’ll be a team to watch over the course of this year. Note: If you’re looking for footage from this weekend’s games, you can find a lot on Towson’s Twitter.